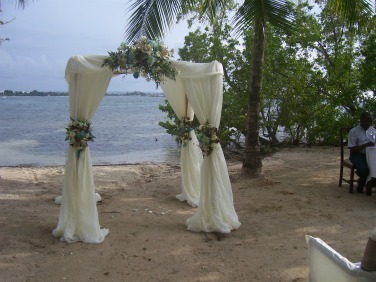 Jamaica wedding and honeymoon packages are now more affordable than ever before. Over the past few decades, hotel marriages have increased so much that destination weddings are very popular and are the norm. I'll provide you with a detailed overview of hotel and resorts weddings in Jamaica, what you'll need to provide and the different packages available. Though anything your heart desire, is possible. Because every effort will be made to turn your wedding and honeymoon occasions into your dream come true. Getting married in Jamaica is one way by which you can turn your wedding into a memorable one either on a beach, in a chapel, or on a boat ending with your special honeymoon. Your choice of the right wedding and honeymoon package will make sure that things are planned well before hand and executed without any hiccups. Why Are Weddings And Honeymoons In Jamaica Popular? As you know Jamaica is a romantic place filled with pristine and turquoise blue waters along the shores of white sandy beaches on one side, while nature's flora and fauna lining the other side of the island. Swimming with dolphins and climbing exotic waterfalls are added features that you can find on the island. Jamaica is a complete mix of all kinds of entertainment and facilities for tourists and guests whether the purpose of your trip is professional or personal. The weather also is enjoyable all round the year with sunny days and cool evenings. The private beaches, the romantic waters, all-inclusive resorts and the friendly people will create everlasting sweet memories of Jamaica and your wedding. Proof of citizenship, birth certificate, parental consent for minors, proof of divorce if a divorcee, death certificate of spouse if a widow. Also any related procedures pertaining to specific nationality are the basic details that are required for getting married in Jamaica. There are many resorts and hotels with various price range throughout the island that offers complete customized wedding and honeymoon packages. Below are few of the packages that you can consider when you are planning your Jamaican wedding and honeymoon. My daughter's Jamaica wedding and honeymoon packages were held at the Riu Resort on the beach in Negril, Jamaica. And you can see her choice of wedding and how great her wedding consultant and planner was in having the setting so perfect. Luxurious five-star resort set in the Caribbean oasis, Half-Moon Resort can ensure that your wedding and honeymoon is flawlessly planned. Flower arrangements, professional musical services, salon services, three-tierred cake and many more services are the features that are offered for your wedding ceremony. A personal wedding consultant to plan your luxurious wedding to mark the start of your new life as part of the Sandals Wedding package. They also offer the wedding package free for couples who book a six-night stay in their concierge category of Sandal Resorts. A "Just-Married" t-shirt would be a perfect end for a beautiful wedding ceremony organized by the Iberostar group of resorts. 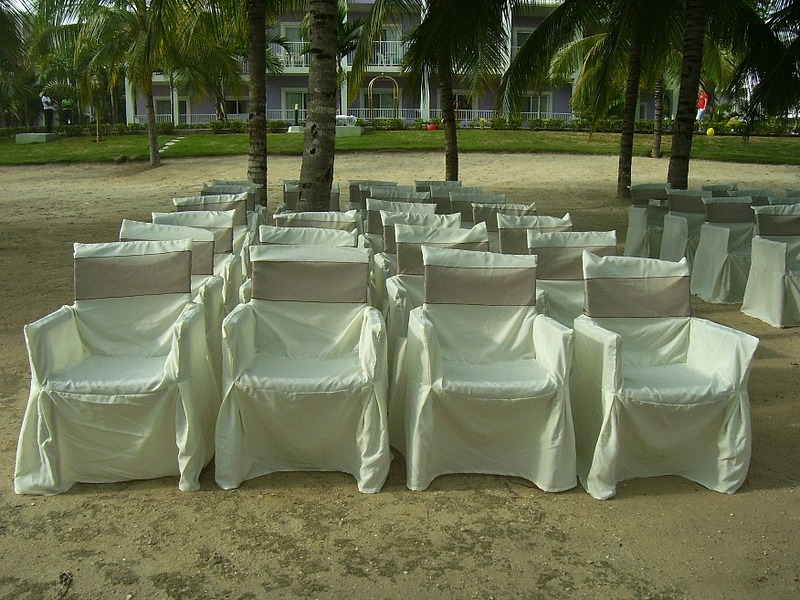 They also provide you with the option of conducting your wedding in a gazebo over the water, on a terrace or on the beach. So start planning your destination wedding and honeymoon at Jamaica reggae music vacation.